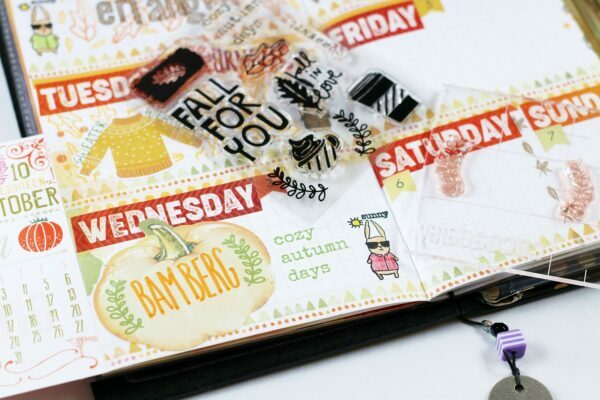 Today, I want to share some ideas on how to use these two stamp sets that came with the planner classified kit and the memory keeping pocket kit. 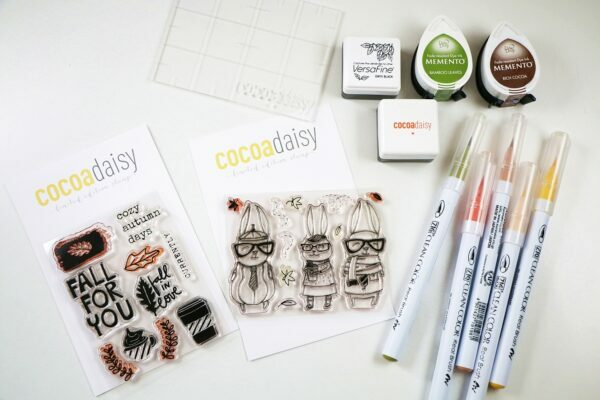 If you are not familiar with clear stamps, I have a basic stamping tutorial video at the end of this post. I really enjoy stamping with these two stamp sets in my TN. 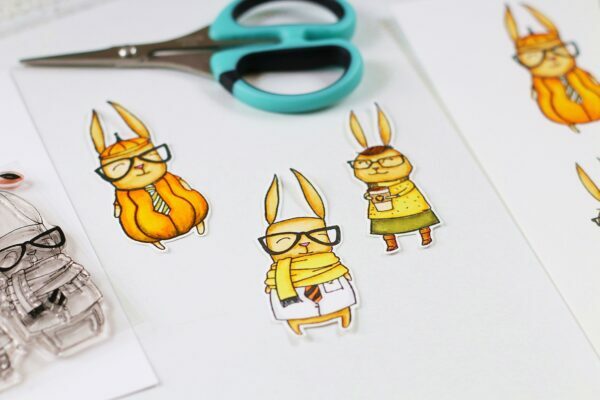 Especially that cute Simon and Betty stamps. It’s so versatile. 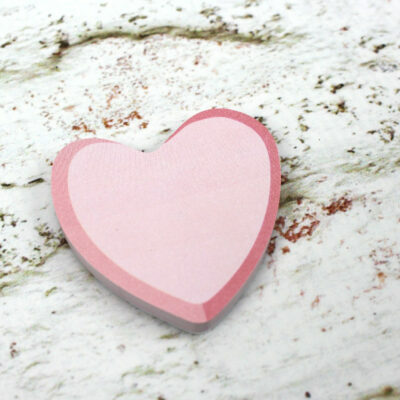 You can stamp them on a paper, colour them or leave it uncoloured and then fussy cut them. 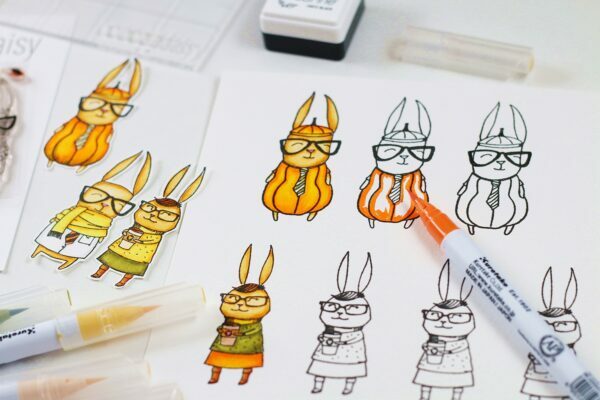 I love to colour stamp images with watercolour or water based markers. 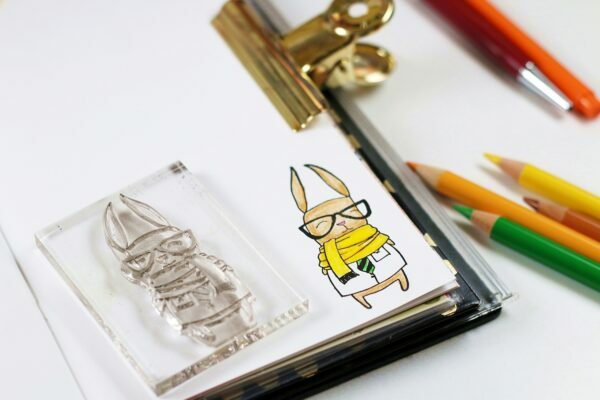 In this case I stamp the image on a piece of watercolour paper using the waterproof stamp ink such as Staz On or Versafine. 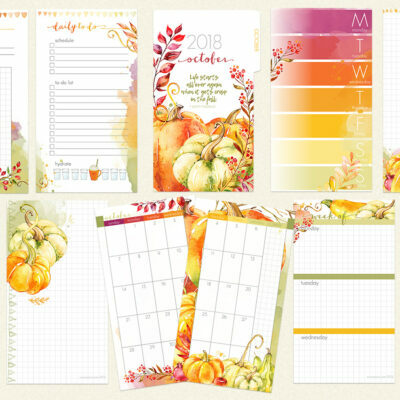 After you fussy cut them, you can use them as die cuts for your planner or memory keeping projects. 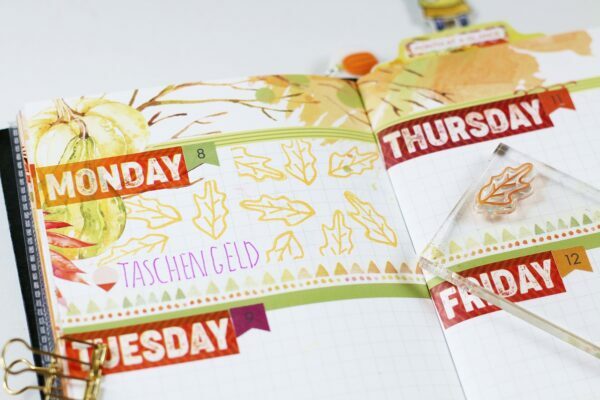 You can also just stamp the image directly to the planner page, leave it just as it is or also colour the image. 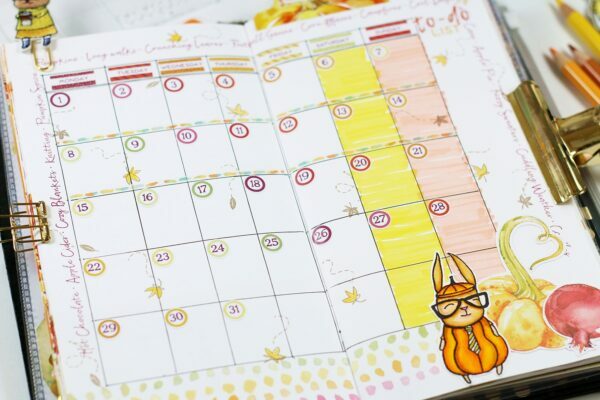 My favorite art supplies to colour on the planner pages are coloured pencils and watercolour pencils to avoid bleed through. 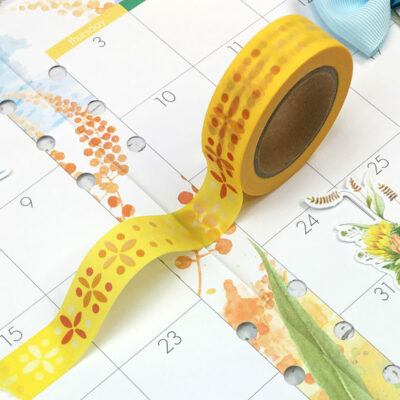 Here, I used the leaf stamp from the Memory Keeping Pocket kit to create a pattern on the background of my daily space in my planner section. I covered all around the daily space with sticky notes then stamped the image all over the space. you can use the quote stamp, just to fill in the blank space. 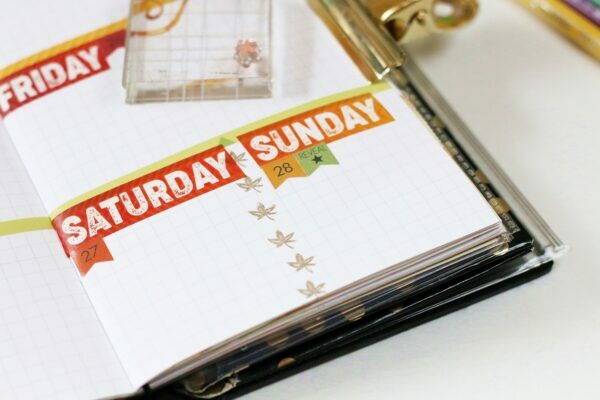 The tiny stamps such as this leaf stamp below is suitable to separate the weekend days. 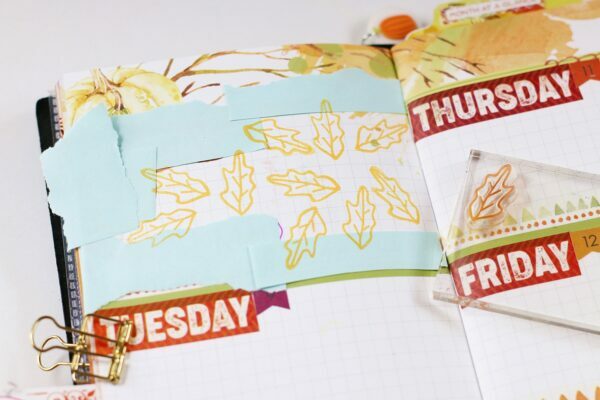 It is also fun to use it to create a pretty accent on your planner or journal pages. 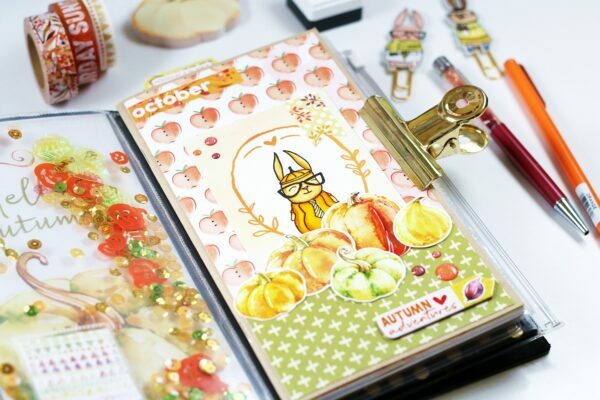 On the picture below you can see how I also use it on my month at a glance spread. 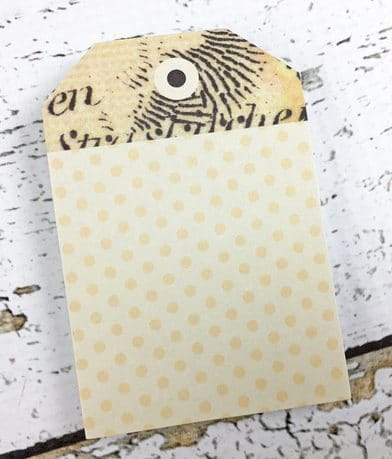 You can use this kind of stamp to create mini tags to embellish your planner or journal pages. I hope this can inspire you to use your stamps. Please share with us how you use them on our Facebook group or on Instagram and tag us using the @cocoadaisy or #cocoadaisycommunity. 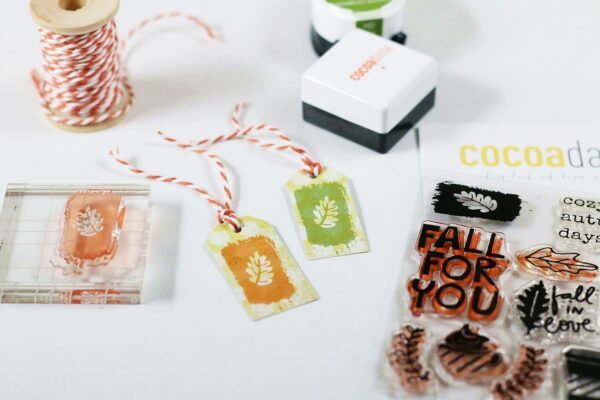 Here comes the basic stamping tutorial video. If you have any question please just write it in the comment section or tag me on the Facebook group. Hope you’ll enjoy the video. Thank you SO much for sharing! It was great! I learned a few new things! Thank you so much. I’m glad that it’s useful for you. Tanti, this is such a brilliant post and video. Thank you so much for taking the time to write and film! Thank you so much Simone. I hope it could be useful. I’m glad you liked it.